Our young Side very grown up, just over two months. 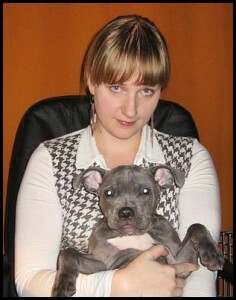 Soon the female will go to her home - Hot King Staff kennel, as the settlement of the breeding contract. 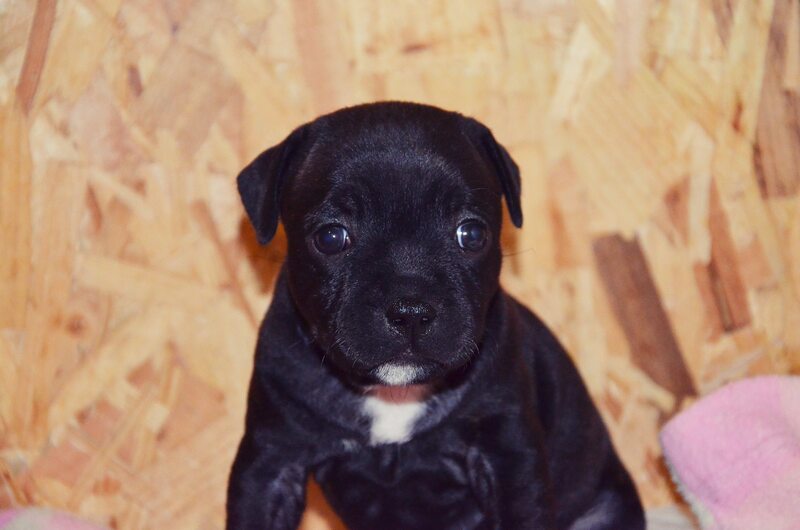 The daughter of Hot King Staff BRONX and Hot King Staff HONEY WILD is 5 weeks old. She'ss very loud and energetic puppy, but no sibling competition makes she's not interested in eating. 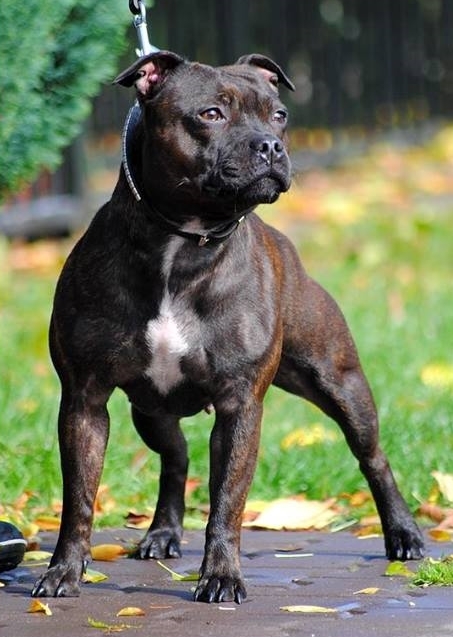 Girl looks very nice, colour black brindle. 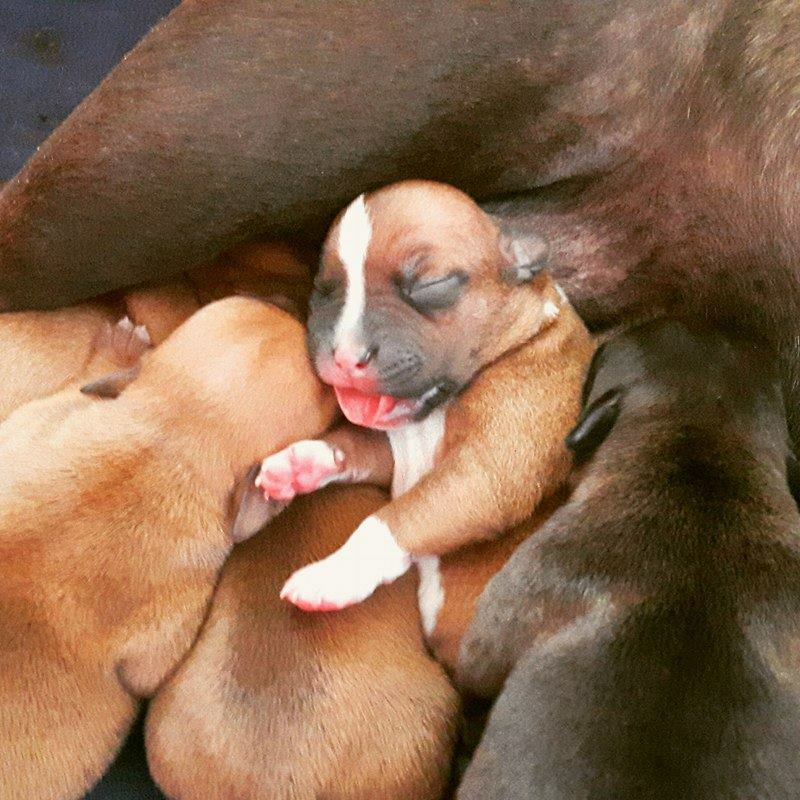 Today were born naturally two puppies - females. 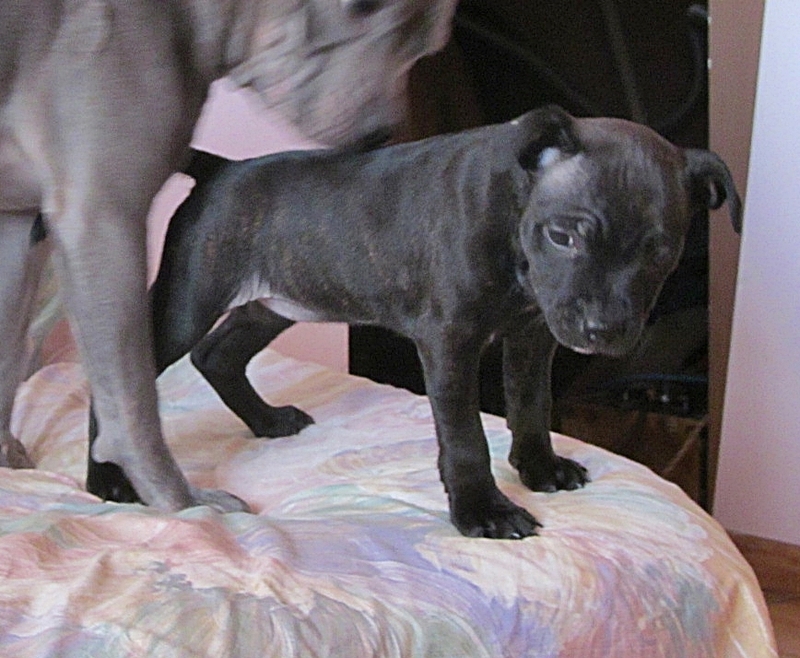 Unfortunately the red girl was very large and did not survive a labor - we have brindle only child. The parents are Hot King Staff HONEY WILD and Hot King Staff BRONX. 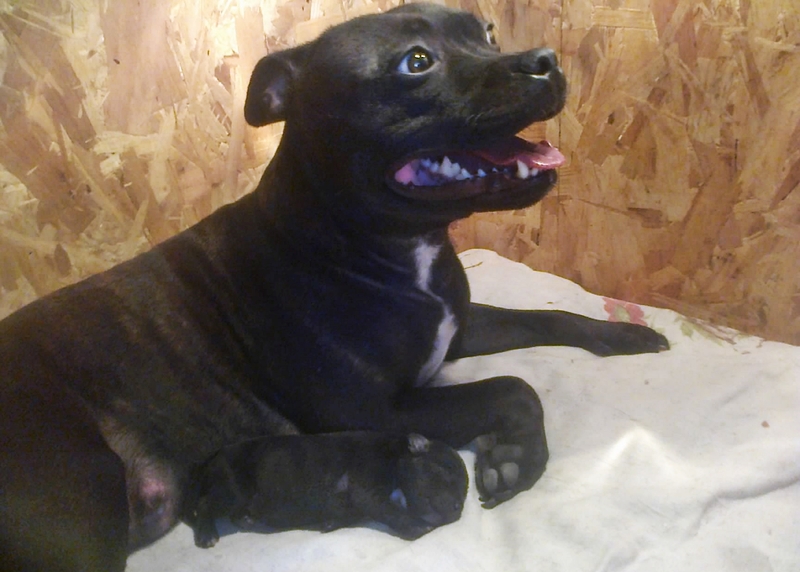 Honey is pregnant - on ultrasound seen two babies. Birth expect at the end of November. 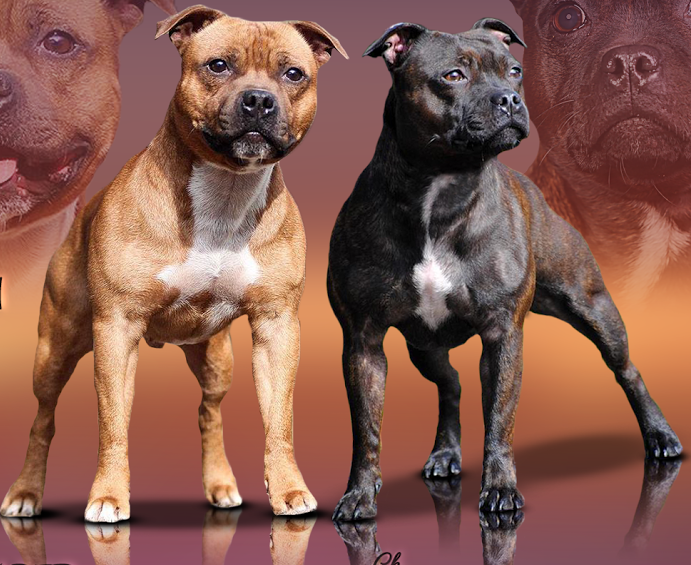 Litter on the breeding contract for Hot King Staff kennel - father is the red male from France Hot King Staff BRONX. On 22 and 24 September we crossed brindle female Hot King Staff WILD HONEY with red male Hot King Staff BRONX (France). 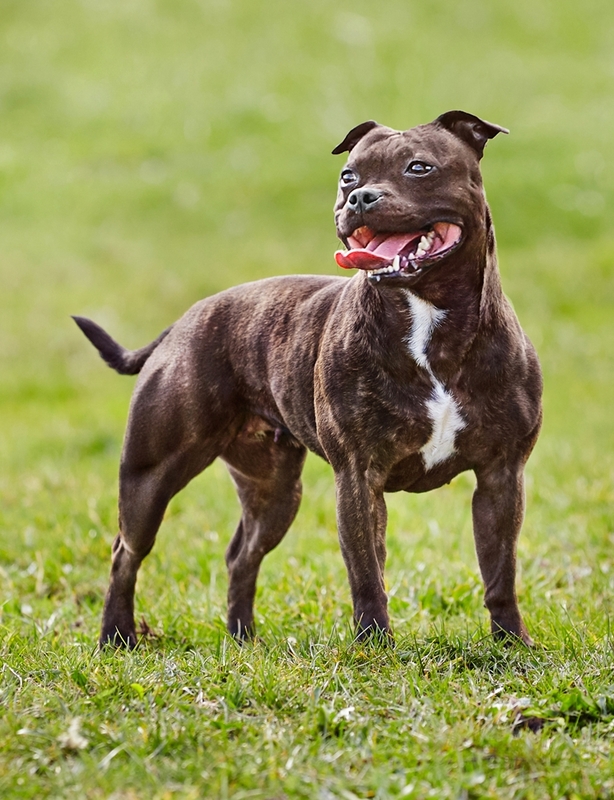 Puppies are expected at the end of November. We are waiting for confirmation of pregnancy. 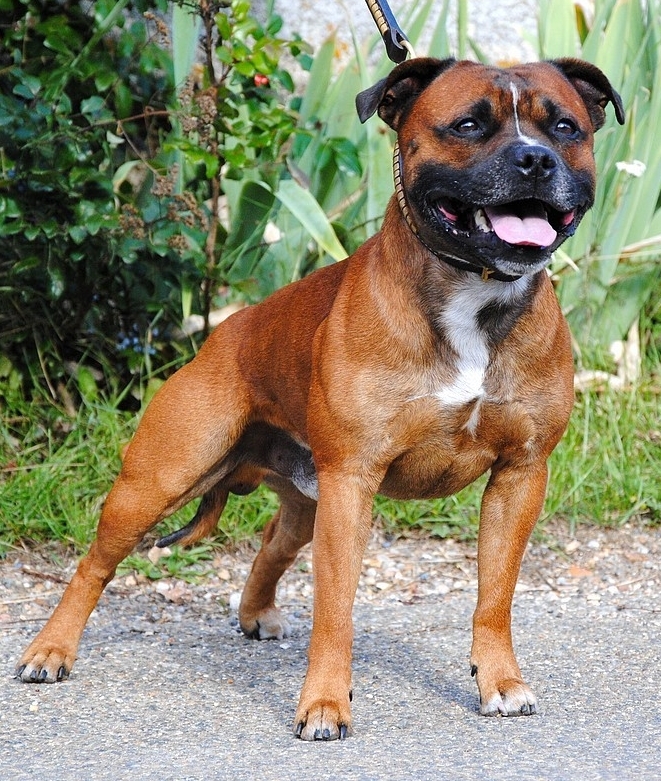 This winter we plane mating in breeding contract - brindle female Hot King Staff HONEY WILD and beautiful red male living in France - Hot King Staff BRONX (photo). Both parents are L2HGA i HC clear. 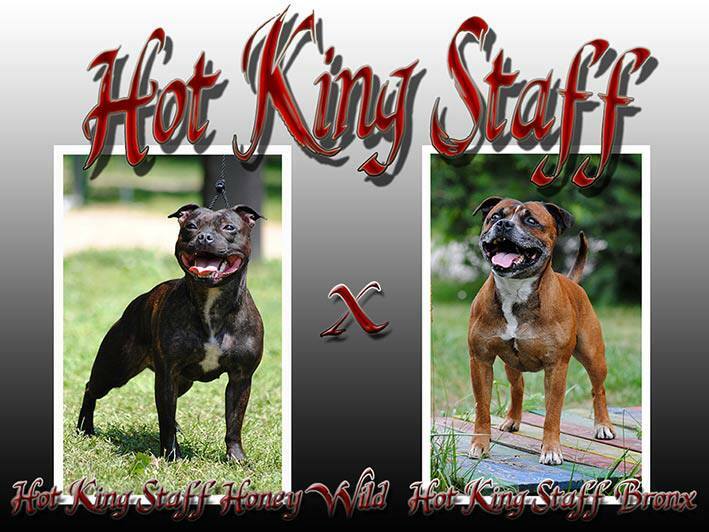 Litter in kennel name of Honey's breeder - Hot King Staff. We invite to contact.